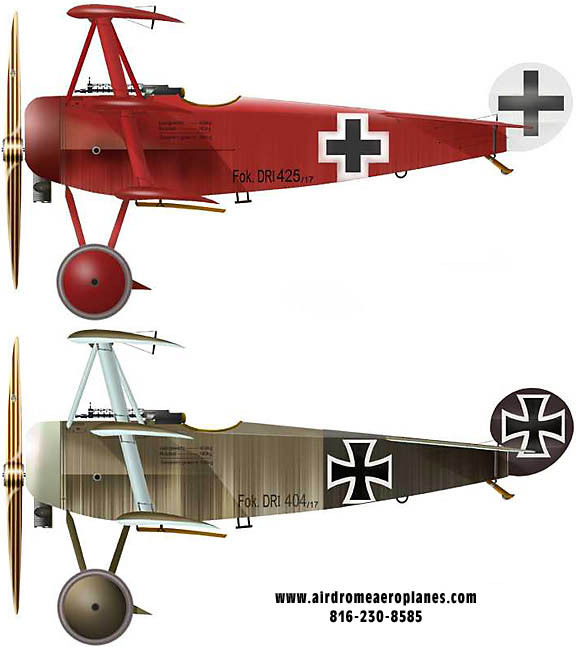 As I have researched the flying characteristics of the Fokker Dr-1 in preparation to my flight-testing, it quickly became apparent that there is not a wide body of knowledge to draw on regarding this aircraft. 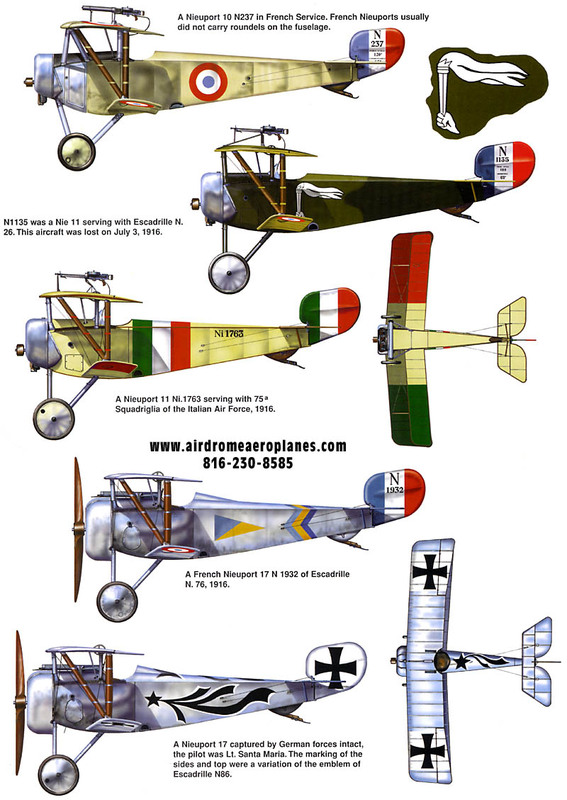 Add to this lack of knowledge base, I had to refine this research to the specific characteristics o Airdromeaeroplanes.com 3/4 scale version. There were bound to be differences between a full size replica and the 3/4 scale version that I was building, piling on even deeper is the differences that exist in the historical record between a rotary and non-rotary powered version, the modern airfoil, different construction techniques that lead to different power loading. What I have been left with are mostly references to the full-scale versions that began to appear in the 1970�s coupled with the few people that I could find who had flown versions that Robert has sold as kits from Airdrome Aeroplanes and instead of just talking about numbers, I want to expand on the feelings around flying the airplane and my overall impressions. There is really no frame of reference to explain the range of emotions I have experienced during the building, assembly and test-flying phase of building my first airplane. They range across the spectrum and are as varied as pride, fear, anxiety, exhilaration, amazement, satisfaction and excitement. Bundling these emotions into a focused and positive energy that allow for the expansion of the flight envelope, confidence in the systems and my abilities to master the aircraft is one part of it, insight into what changes are required to optimize the flying experience are also part of the challenges that I face when dealing with the airplane. With the work, effort, setbacks, progress and struggles to bring all of these variables into positive results has been daunting in the whole and I can see where people would become discouraged or scared away from the pursuit of this dream. Walking away from this project was never in my DNA and, while at some point, I will walk away from flying the plane; my goal right now is to enjoy the process and continue to learn and expand my experiences. My preparation for flight typically starts a day or two before I plan on heading out to fly. I always develop a mental game plan for what I want to accomplish, any pre-flight checks or additional maintenance items I want to go over on top of the normal checklist and outline in my head, the objectives of the flight with associated emergency procedures and contingencies along with weather and wind conditions I should expect on the day of flight. I perform a full pre-flight inspection even if the day consists of engine runs and tests and end the day with a post-flight inspection along with a wipe down of the airplane. At my home airport (KUSE � Fulton County Ohio) we have a grass runway (18-36) and a longer concrete runway (9-27). Since I have no brakes on the aircraft, I have always operated off the grass runway so wind considerations dictate flight. With the grass runway oriented with the majority of it�s length to the south side of 9-27, I prefer to depart to the north so that I can turn out immediately to the right and fly down 9-27 as an emergency option. To date, I always departed to the north for takeoff. If the wind favors a southern takeoff, I keep the plane in the hanger. If it is variable, I will sometimes depart to the north and land to the south if the winds shift during flight. Since completing the airplane and starting out on the initial test phase, I had several key areas that I wanted to focus on. General flight characteristics and handling, cooling and engine performance, landing technique and sight picture during all phases of flight and overall numbers for the flight envelope are the primary areas of focus. As I do my walk around and inspection, the adrenaline starts to dump and my pilot game face starts to set in. I have developed a pre-flight checklist based on things that I have seen during the high-speed taxi portion of the build up to flight. It is amazing what vibrates loose, shifts, twits and needs to be adjusted during this phase of flight. Better to have something happen here than after the flying phase. Once I have strapped in and done the engine run-up, I hop out and do another once around the airplane. It is at this point I typically fuel the airplane and give the motor time to dissipate some of the heat to more evenly distribute it. I push the airplane to the grass edge of the taxi area, check wind, do a visual for any air-traffic and go over final thoughts with my support team. At this point, I hop in, alert air-traffic in the area of my intentions and taxi out. Since I would be strapping into an experimental aircraft with a non-certified aircraft engine (2180 VW with a 2:1 Reduction Drive), I knew that a build up to actual flight would be a crawl, walk then run approach. I spent the first months after moving the airplane to the airport for final assembly focused on taxi and high-speed runs until I had the FAA inspection and issuance of the air-worthiness certificate. I made over forty runs with the airplane working my way up from idle taxi tests up to high speed runs where the tail was flying and the plane was light on the wheels. Some of these runs were is crosswinds up to nearly 10 mph. Some key things I learned from this phase of testing are that at warmed up idle the airplane will remain stationary on grass and at higher idle speeds on initial startup, it will roll on grass. I always chock the wheels and warm up the motor by my hanger to oil temps of 140 degrees. On concrete it will roll under any power setting. 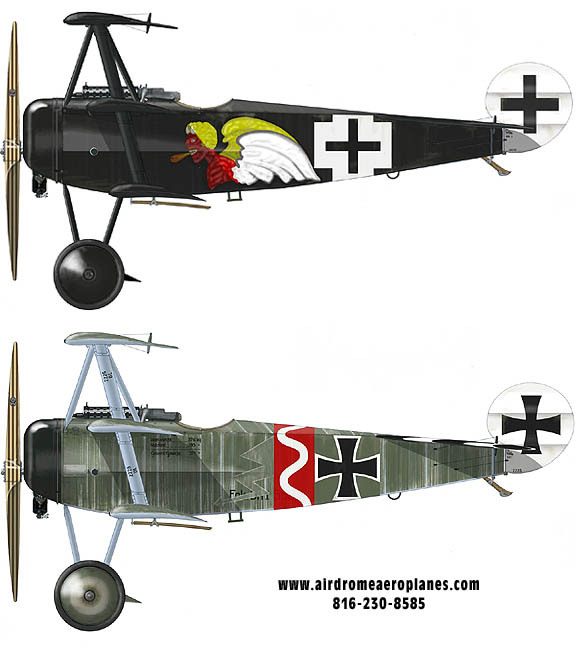 As with all reports on the Triplane, during the taxi the forward view is completely blocked by the nose. I use s-turns and peek through the gap between the fuselage and middle wing to see as I taxi to the runway. Once throttle is applied, the acceleration and roll is brisk and the plane accelerates quickly and the tail comes up almost immediately. My technique is to hold backpressure during the taxi and up to the point of initial acceleration. Once I am rolling I move the stick forward to pop the tail up and accelerate on the main gear. This is to provide a view of the runway as quickly as possible, especially if I do not have an outside reference during the initial power application. On the few days I have had no clouds, I add the power and correct as necessary once I can see down the runway. Once the tail is up, visibility is good and the rudder has enough flow to correct and keep the nose pointed where I want it. I have read that a three-point liftoff is a better technique in crosswinds but I have not performed a takeoff with winds any higher than 3-5 mph at this point so I can�t speak to the validity of that technique. The tail starts coming up once the plane is moving and I hold the plane on the runway until I am moving at least 50 mph with a target of being in the air by 60 mph. I check RPM during the roll and this is my focus. I feel when the plane wants to fly and gently lift it off the runway. Typical takeoff roll is less than 150 feet and things are happening quickly, my first initial move is to bank to fly down the crossing runway. I am careful to make this a coordinated turn and once I am wings level down the crossing runway, my preferred technique is to establish a climb between 55 and 60 mph indicated which usually provides an initial climb rate of between 500-650 fpm. At 50 mph indicated I have seen between 800-950 fpm climb rates. I usually don�t climb out at this speed since the climb angle is reducing the effectiveness of the oil pump and it reduces the airflow over the motor when it is working harder than any other point during the flight. Once I have reached the end of the crossing runway I initiate a 50-degree bank turn to fly back down the crossing runway as I continue the climb, which by this point I am usually over 600 feet AGL. One nice feature of the design is that the cross brace wires on the cabane struts is at an angle of 50 degrees� so I put these on the horizon and apply backpressure to maintain the climb and airspeed. 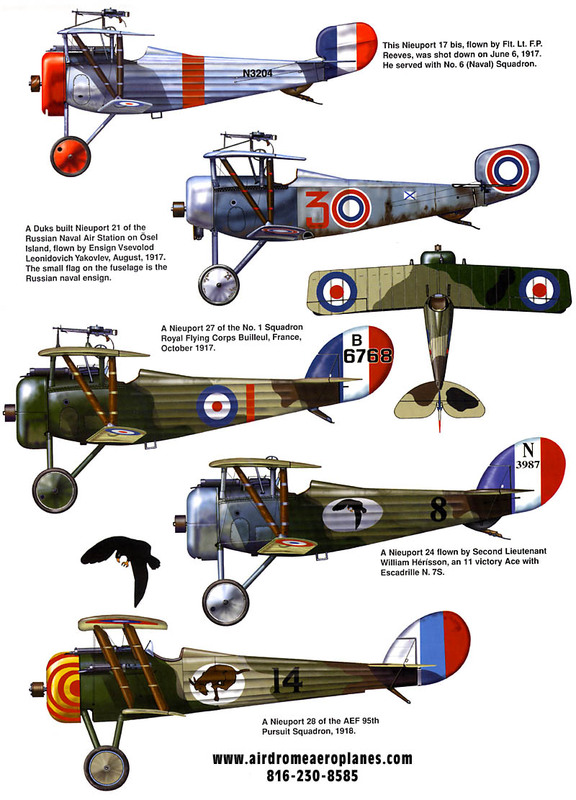 It is worth noting that some of the first hand reports and literature about the roll rate of the Triplane state that while the initial response might be sluggish, it accelerates into the roll. I have not noticed this specific tendency but it kept me from being too aggressive in my initial turn. As I get more comfortable with it my turns have been more aggressive. It is, without doubt, a rudder airplane and I had heard this in literature and first hand accounts. I compare it to a quicksilver or Kolb. Turn with the rudder and coordinate with the ailerons. It turns quickly and is responsive to the control inputs. Continuing to climb, I monitor RPM, CHT, Oil temps and airspeed. With the VW power, it is a good idea to keep the climb shallower so that the oil pump in the front of the motor can keep good circulation and more speed and subsequent airflow through the motor. I have been typically topping out at 2,000 feet AGL and flying racetrack patterns over the airport. I have taken it up to 4,000 feet on two flights but oil temps were getting up around 230 degrees. Once I reach altitude I level off and accelerate before pulling power back to cruise. My cruise RPM has been between 3,100 and 3,400. This provides speeds between 58 and 63 mph respectively. I have yet to do a full power straight and level run to see what the top speed is but I have had it over 75mph and it was still accelerating. In a power decent I have had it up to 80mph. That is the fastest I have gone so far. Once I am in cruise flight it is fun to fly and visibility is good to the front and sides. Up and down visibility feels restricted where the top and middle wing block the view so banking and clearing turns are important. Having a radio is also a benefit and I feel better having it to improve situational awareness� keeping my head on a swivel and trusting to the Mark 1 eyeball is critical in this airplane. As mentioned, turns are a rudder affair and there is constant correction required during a turn to keep the ball centered and rudder control is marginal. Not that there is a lack of response, but there is very little positive feel to the rudder pedals. The ball can roll around the cage in a turn and there is a need for backpressure during a turn to maintain altitude. When everything is setup properly, in a 50-degree bank, it comes around quickly. The faster it flies, the more responsive it becomes. While it is responsive and flies well at cruise, with the nose down or more power on, it really comes to life around 70 mph. I liken the feeling of keeping the plane doing what you want to holding a broom in your hand with your arm extended and not letting it fall. At 50 mph it tends to become mushy and requires larger and more exaggerated control inputs and I stay out of this area of the envelope. I can feel the wind change on my face if I get too far off the ball and I can feel all pitch, yaw and roll inputs in my backside. It feels like the rotational point for all inputs is just in front of the seat between my body and the stick. In setting up for landing, I typically setup by pulling back power to 50%-60% throttle and fly in a decent with power on around 70 mph at 500 fpm decent. I correct with slip, as needed, correcting for any crosswind as required. The cross point of my cabane struts is my aim point on the runway and I adjust power to maintain this spot in my sight picture. If the power is pulled off to far it slows down very rapidly so over-shooting is not typically a concern. Once I am over the airport boundary, I begin to reduce power. Once I've descended to 20 feet above the ground I begin to level off and adjust power to maintain my intended touchdown point. I gradually reduce power to settle onto the main gear. All landings so far have been wheel landings. Once the wheels touch down, I hold the tail up until I feel it start to settle with power at idle. As soon as I feel the tail start to drop, I stick the tail and hold backpressure during the rollout. 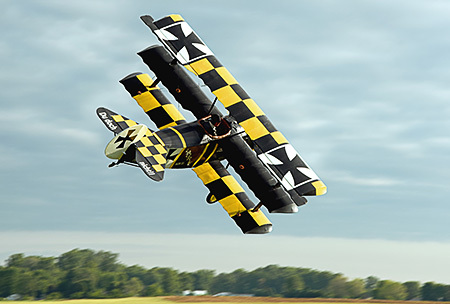 The plane is fun and thrilling to fly as long as it stays in the envelope. I have not done any stalls either power on or power off and won�t go to this corner of the envelop during my 40 hours of restricted flight. Staying away from significant crosswinds is good advice from everyone I have heard from as well as my own experience. It is not worth the added ground loop risk, especially off concrete. While it is a plane that takes experience to fly, so far it has been rewarding, challenging and a great thrill� which is why I went to all the trouble in the first place.